Timeless wisdom from the book of Psalms. Each day provides opportunities to praise God and to follow His Son. This treasury of 365 Spirit-Lifting devotions for Women can help. 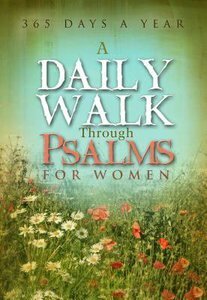 About "Daily Walk Through Psalms For Women"